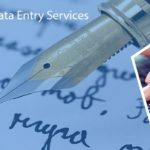 Data Entry Export provides the specialized and extraordinary image processing services and solutions to all our valued clients at an affordable price. Our image processing team possess the ability to digitize any image and can convert it into a format which can be easily stored as a soft copy on the hard disk. In simple terms, image processing is a process of analyzing and manipulating a digitized image, in order to improve the quality. 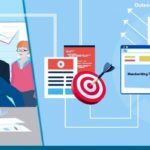 Images are considered to be the best tool for representing the data or information in a unique way to enhance the branding and sales activities. 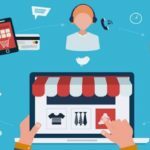 Today, most of the business firms are looking out for unique ways to spread the reach of their existence and value, by adopting new techniques. Utilizing the best images to represent the service, have become a powerful concept within the global business market. The process of digitization is generally carried out with the help of a scanner or a digital camera. After the digitization of the image, various image processing and data processing tasks take place smoothly. •	Image Editing – It is a significant part of the image processing service and the editing is carried out complete perfection as per your requirement. •	Image Restoration – We work on a damaged image and make it useful for a specific purpose and will help to radiate a fresh image. •	Image Retouching – Optimizing the image by modifying the color shades and adding the filters to the colors. •	Image Enhancement – Helping our clients to remove the unwanted or the damaged elements from an image and ensuring effective image restoration. •	Image Correction – Converting the image into a perfect format such as PNG, JPEG, GIF, etc. and making the necessary corrections to the irrelevant part of an image. •	Blemish Removal – Helping you to remove or minimize the presence of blemishes from your image to make them look more clear and unique. •	Image Cropping – Cutting down the images to a smaller size as per your needs.